Adult learners (students aged 25 and older) constituted approximately 38% of all undergraduate students in 2015 (Kena et al., 2015). What makes adult learners different is not just their age. They also often face multiple challenges to earning a degree or credential: caregiving and household obligations, a full-time job, unexpected life disruptions (such as medical bills) and so on. Many postsecondary institutions already recognize that adults comprise a significant portion of their student body — or they may be starting to recognize the potential for serving more adults as they face declining enrollments from their traditional student pipelines. These institutions realize that they should have programs and services in place that break down barriers and help their adult learners succeed. However, it is not always clear to these institutions how to effectively serve adult learners, whether they are already meeting the needs of these students or how to prioritize future investments to serve them. 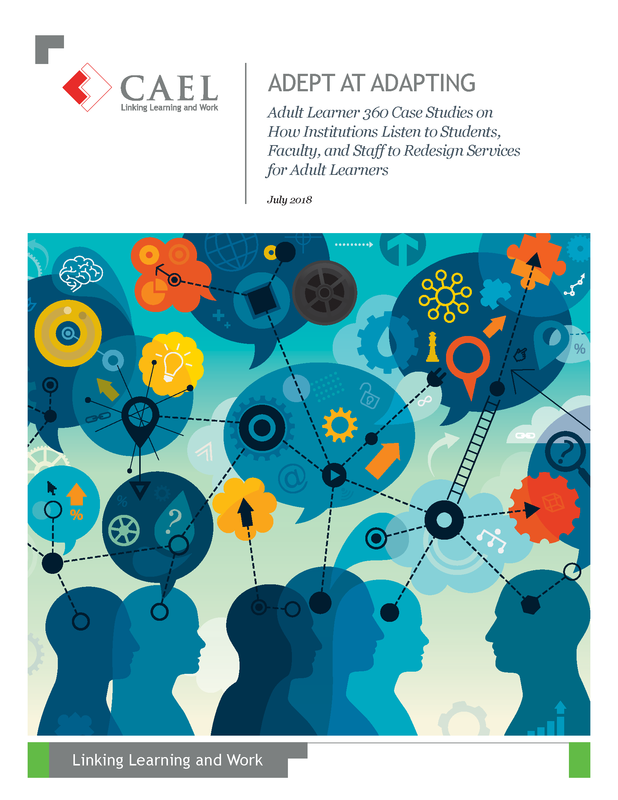 This report examines the experiences of three institutions that used data to guide their decisions on building programs and services for their current and prospective adult students. Atlanta Metropolitan State College, Northwestern State University in Louisiana and Shasta College in California all developed new approaches for their adult students by learning from the results of the Adult Learner 360, data tools designed by and offered through the Council for Adult and Experiential Learning (CAEL). Please complete the form below to download the research. Watch your inbox for a bonus study.